Have you ever heard a running shoe from the future? 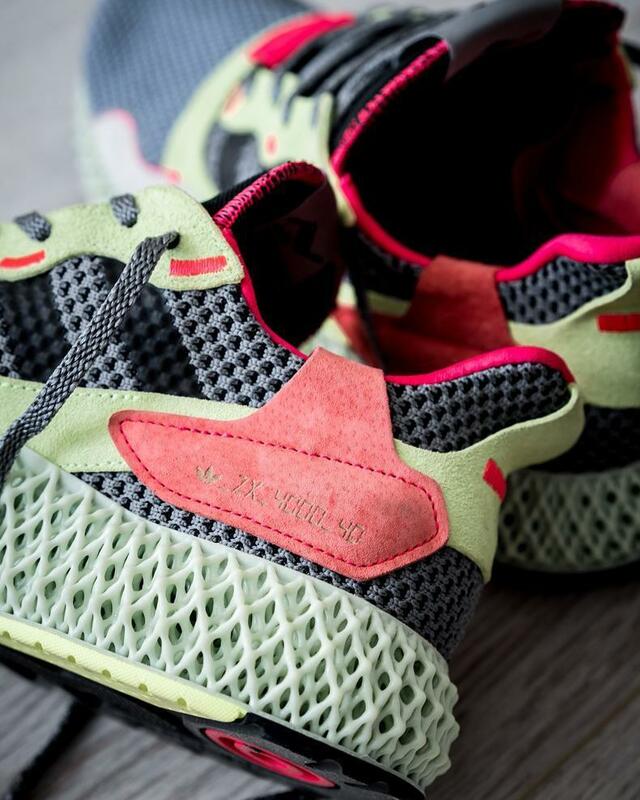 Yes, it is the Adidas AlphaEdge 4D. It just looks like a shoe from the future and this is just the fact——this shoe is designed to deliver precision performance for today’s athletes. 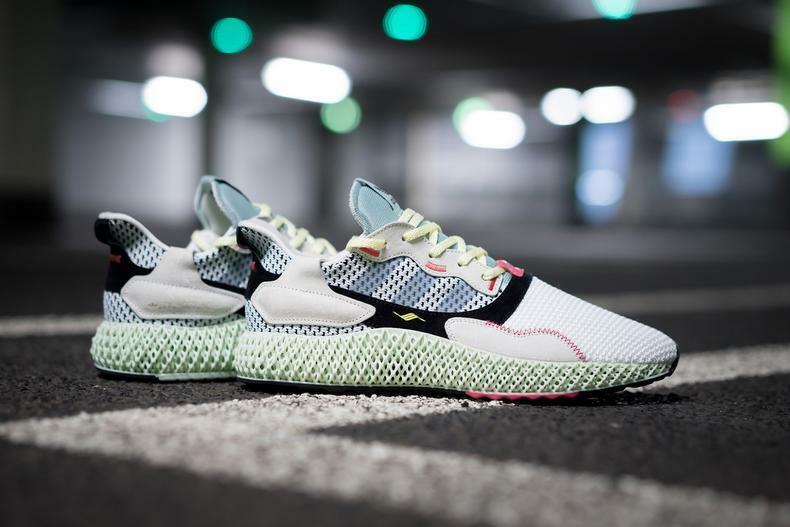 Released on November 17th, 2018, this Adidas AlphaEdge 4D Futurecraft is now available in many retailers. 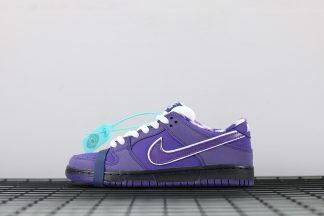 With pairs having already sold out in Canada, surely, the rest of the shoes will get a great deal of popularity as well. 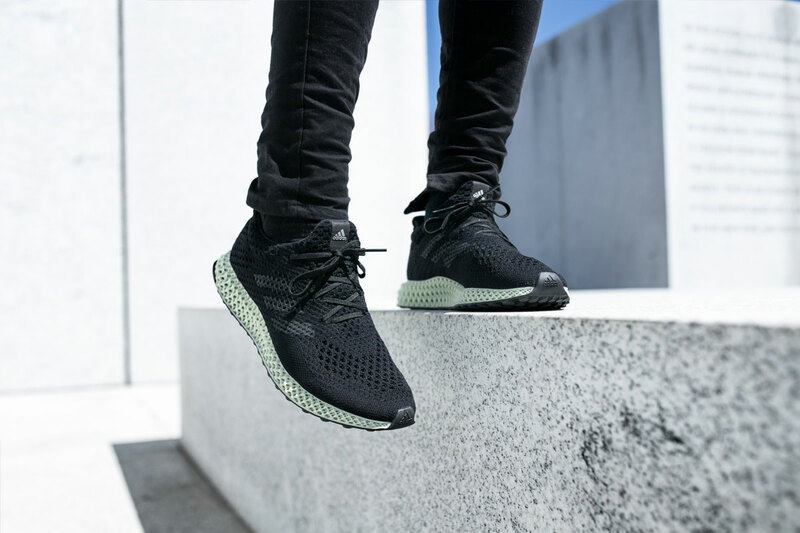 In recent days, this AlphaEdge 4D has become one of the hottest topics among sneaker fans. Then with a price point of $300, how will this white model surprise us? Just have a check below. 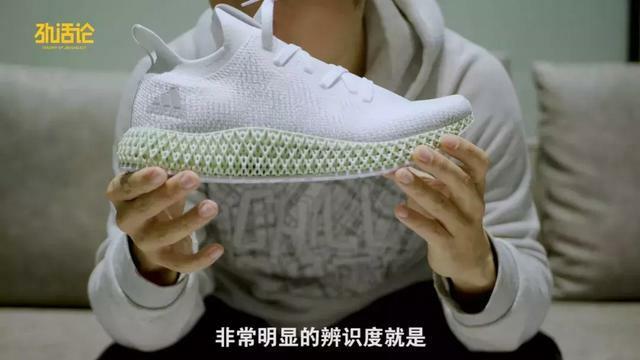 Being able to equipped with Adidas’ cutting edge Futurecraft 4D technology, one of the brand’s most exciting and intriguing exports this calendar year, this white model is aesthetically appealing, giving us an impression of super clear and pure. 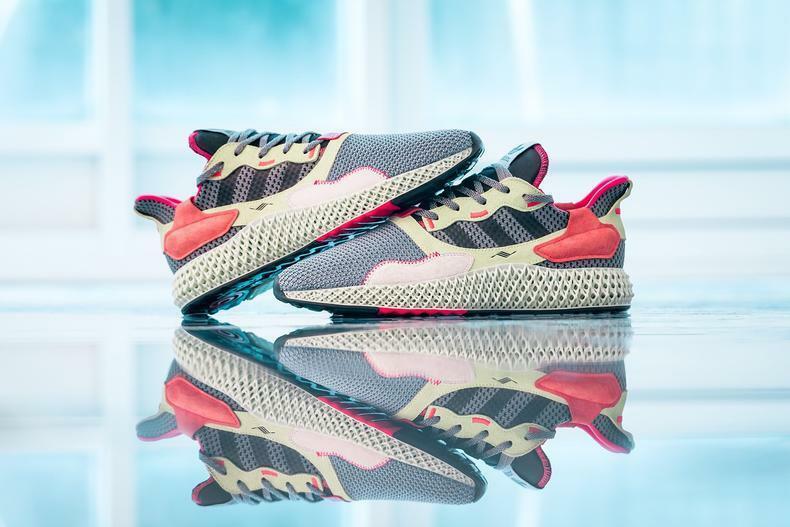 Unlike other signature shoes or co-branded shoes which lay excessive emphasis on packing, Adidas AlphaEDGE 4D is so modest as most ordinary sneaker shoes. So long as you put your observation on it, I can say you are absolutely running into surprise. As is noted by some users that they are quite into this model at the first sight for it has a good-looking appearance. It is just distinguished and easily recognized, making our eyes brightened. 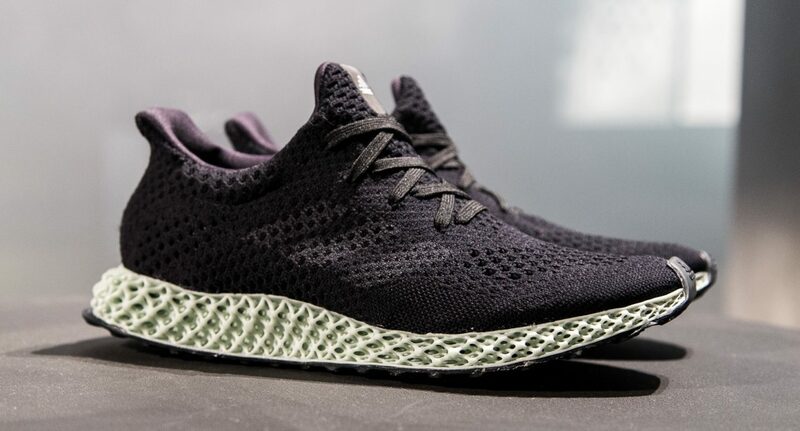 One of the most outstanding features of this shoe is the 4D printed midsole——a signature ash green printed one which is designed using a process called Digital Light Synthesis, a proprietary technology pioneered by California-based company Carbon. Hard as it might look to be, it is in fact very soft and springy if you put pressure on it with your hands. And this is how it functions——it is designed to provide multi-directional support and stability to an athlete’s feet. Installed with FORGEFIBER tech, it features a sleek white and simple upper. It is just thought highly of by some buyers. 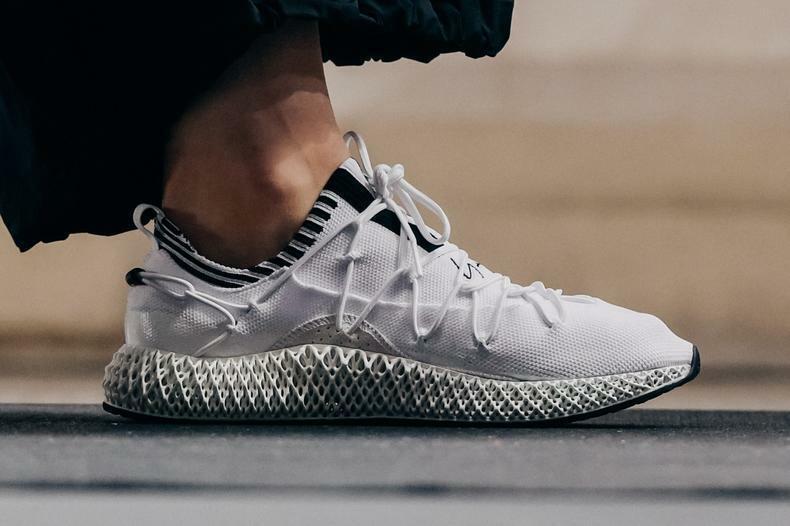 Alphaedge 4D was once phrased as dressing in an angelic white hue with embroidered grey details woven into its Forgefiber upper. From the side, you can see the grey heat welded fuse which can to some degree fix your foot. Meanwhile, the density of the toe, the shoe tongue, the side and the heel are very different, thus improving the comfort of wearing. For my personal experience, I would say the shoe’s wrapping is super good. 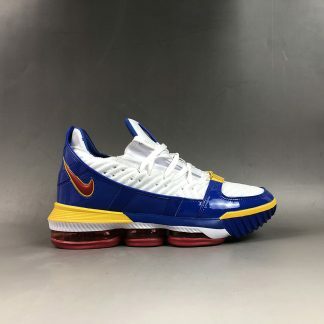 I remember my initial play on the shoe: I was just lost in myself, playing and jumping on court whilst the shoe wrapped my foot tightly and offered me sufficient support. Some other wearers have also said that based on their experience, the wrapping is definitely the leader among the running shoes. With respect to the outsole, it is made of rubber——based on Continental’s tire technology——that promises to last any sort of weather and terrain. Regarding to the pattern, as you can see, it is covered with many small ovals, offering the wearer excellent grip. Indoors or outdoors, there is no need worrying about the dust for the rubber won’t attract any dust to it. No matter on what kind of ground, it just performs well as usual——nothing can affect it. Besides, I have to mention that if you are going after a long-term comrade, then AlphaEDGE 4D would be very suitable for you. On top of that, what satisfies me most is its workmanship. Though it seems to be very simple without any fancy decoration, it is just very sophisticated and dainty in design. Well, I know many people may be wondering that what advantages does 4D have. Then, first of all, it is the anti-twist. Here let’s take Yaseshi for instance. To improve the anti-twist performance, Yaseshi has been added many technologies, which is known as the supporting system. However, these tech also make the shoe heavier on the other hand. 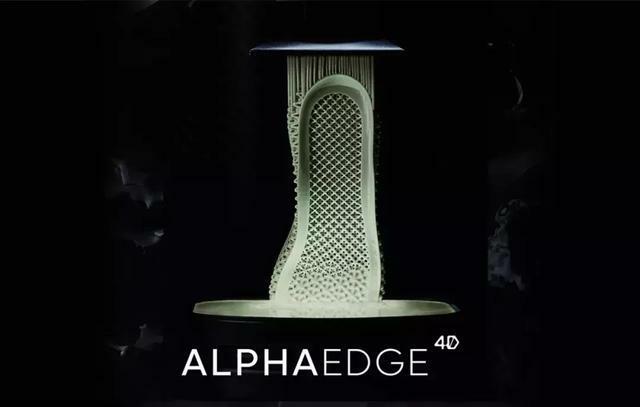 For AlphaEdge 4D, it simply uses digital light projection, oxygen and programmable liquid resins to print high-performance, but not the complex tech. This is absolutely enough for running. Then the cushion? Yes, the cushion is also a highlight of this model. Well, I am sure you all know the Zoom tech and you’ve also seen diverse patterns of it such as the Goose egg, the sector and so on. But this time, it is absent in AlphaEdge 4D. 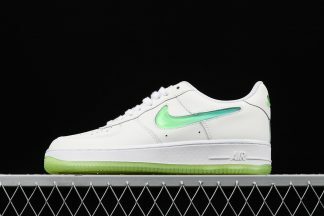 The midsole is carefully designed and to cope with the impact of pressure, the midsole is integrated. What’s more, it requires no time breaking in. Even if there is subtle stress placed on it, you can obviously feel the powerful feedback. So, trust me——once you start running on it, you won’t want to stop for the cushion feeling is just fabulous. Some testers marked that it will be advisable to wear a thin pair of socks if you plan on running or training in the AlphaEdge 4D. 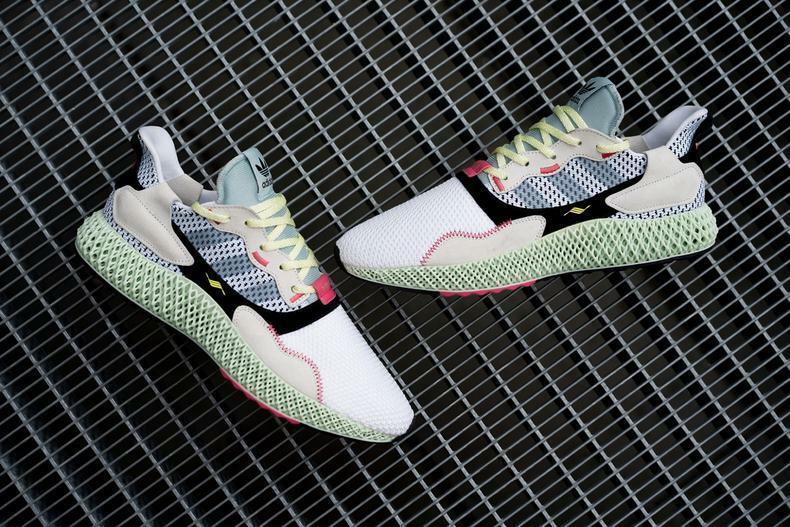 Launched worldwide with a somewhat expensive price though, AlphaEdge 4D definitely won’t fail you. Well, it seems that it is impossible AlphaEdge 4D can fit true to size for everyone, but, “Nothing is impossible”, and Adidas has made it. 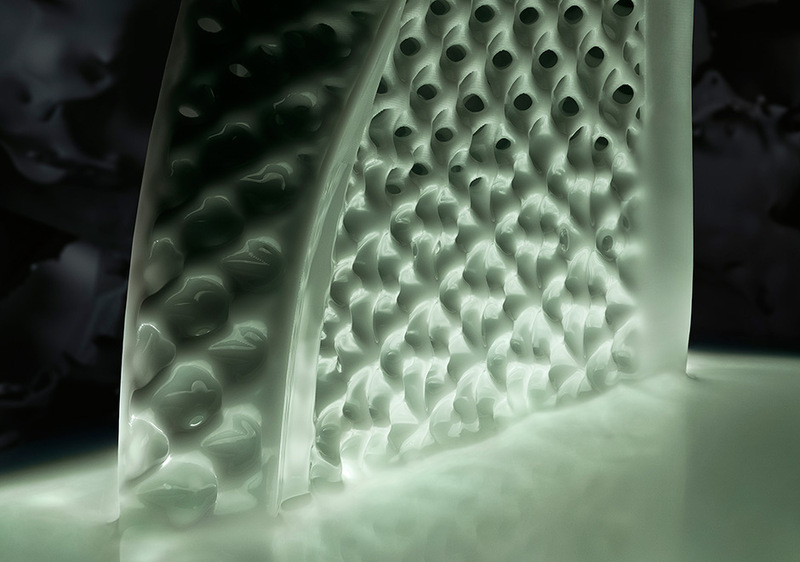 Recognized as the “world’s first high performance footwear featuring midsoles crafted with light and oxygen,” the Futurecraft’s single-component midsole is designed to provide controlled energy return. Adidas Futurecraft is an important project to lead the brand forward-looking future. 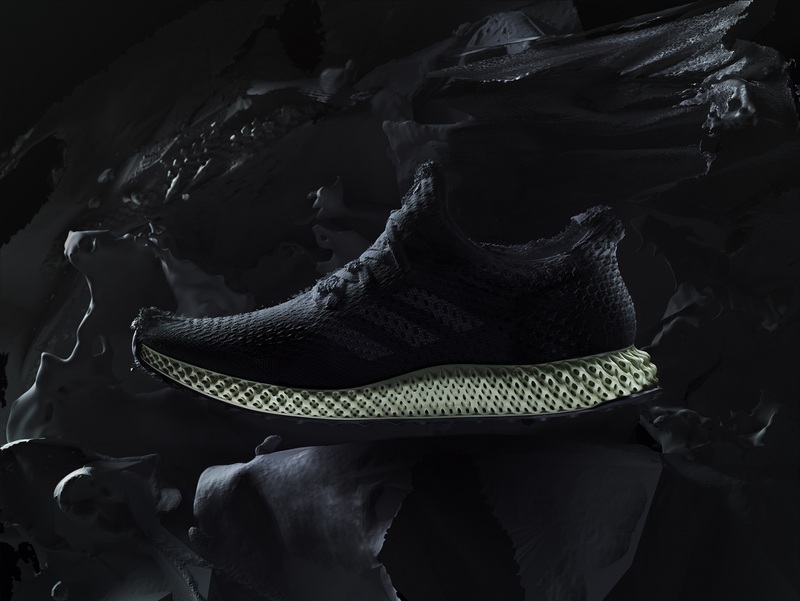 From the earliest 3D printing, Futurecraft Leather, automation factory SPEEDFACTORY, etc.,adidas just did a great job. 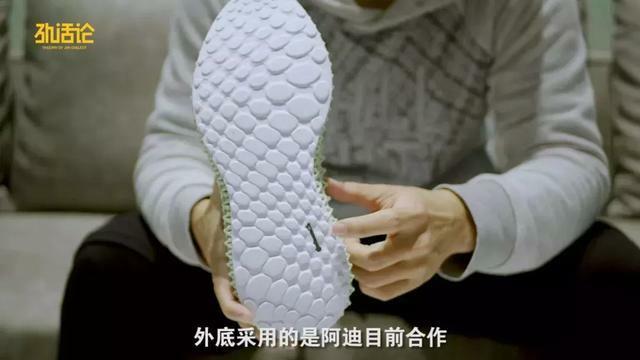 Recently, adidas has made another breakthrough in the midsole process. 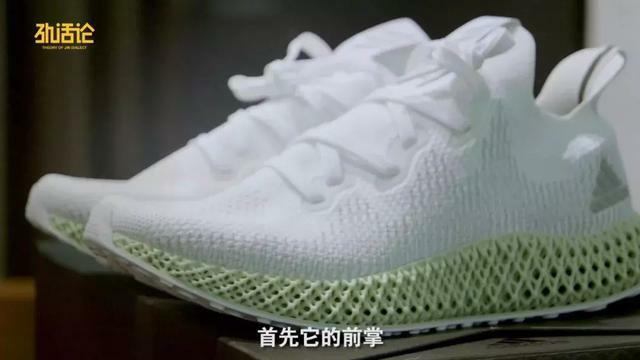 It cooperated with Carbon 3D, a technology company based in Silicon Valley, to apply Futurelight 4D running shoes developed by the company’s Digital Light Synthesis technology. So what is Futurelight 4D ? We will check it out today. 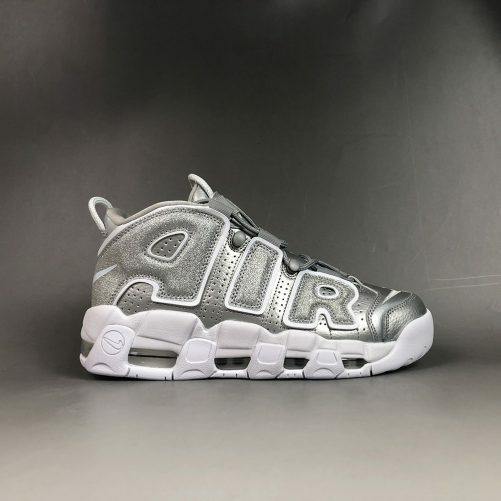 The shoe is then highlighted by engineered zones that adhere to various needs of running, including propulsion, cushioning, stability and comfort. 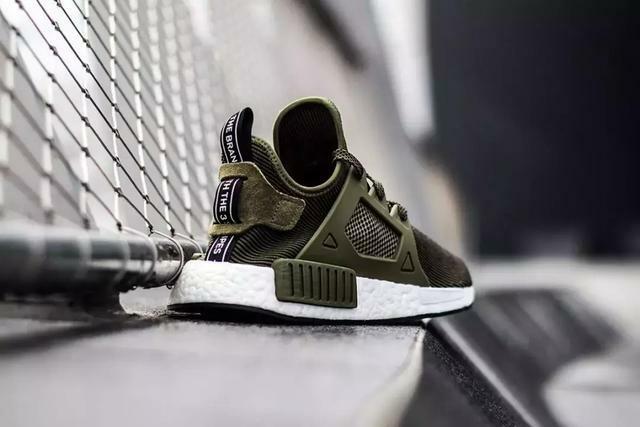 The aforementioned midsole is comprised of over 20,000 struts that can be individually tuned to enhance control on energy return necessary for a specific function. 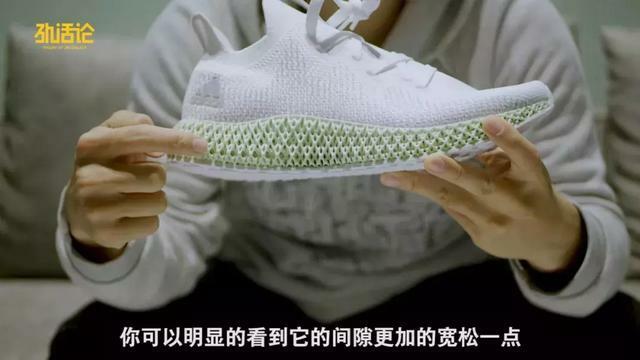 What is the difference between Futurecraft 4D and the 3D printing that the sneakers are popular in recent years? According to Carbon 3D officially, Digital Light Synthesis is based on Carbon 3D’s CLIP technology (Continuous Liquid Interface Production), a liquid forming process that cures the programmable liquid resin through UV light, which inhibits the curing reaction. Oxygen, then it can create a specific structure from the liquid material, and use thermal energy to set its mechanical properties, so that the object has better deformation when subjected to external stimulation, and 3D printing is the way of layer-by-layer pushing . 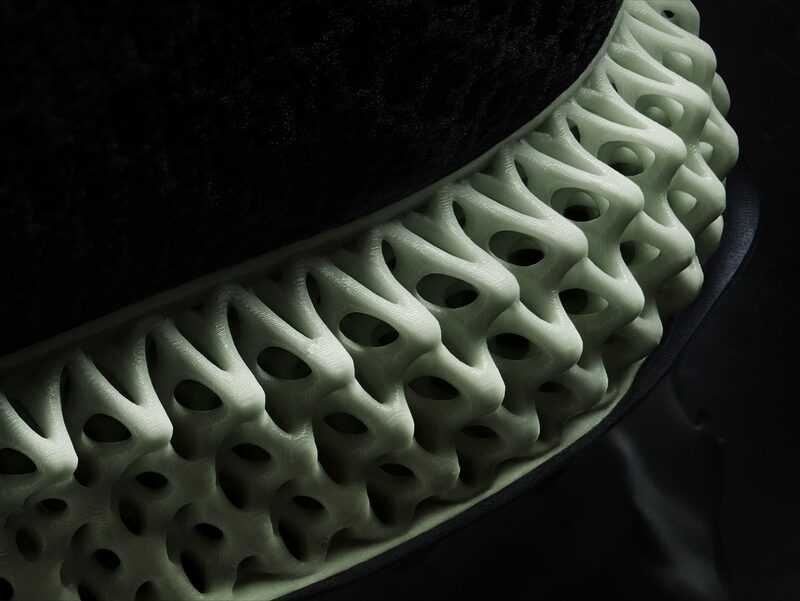 The manufacturing principle of the Futurecraft 4D midsole is derived from Carbon 3D’s CLIP technology. 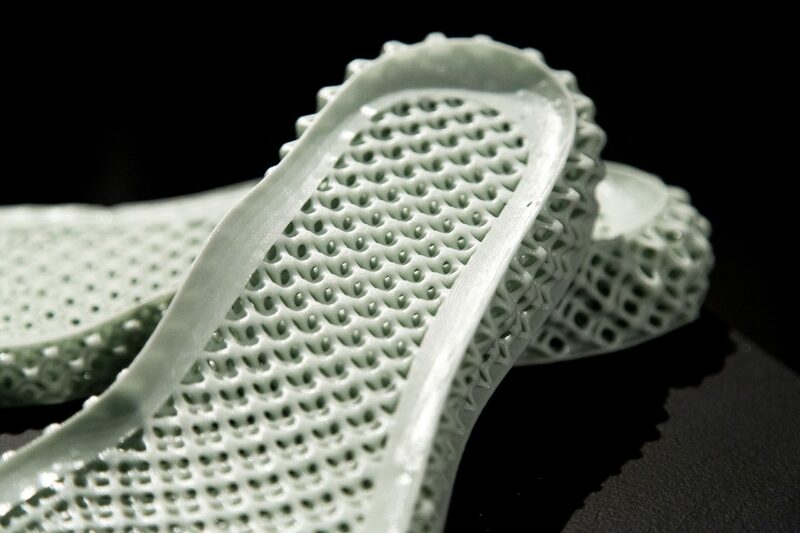 In general, traditional product development can be divided into four steps: design, prototyping, tooling,protduction, due to time pressure, often only three to five redesign cycles are allowed before product development , and adidas and Carbon 3D’s collaborative technology , that is a great news for manufacturing.and each idea can be crafted using the materials and methods of the desired design.Carbon 3D has developed a complete midsole production process for Adidas will be a start revolution. 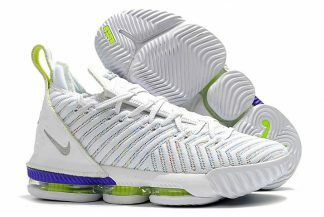 The most important midsole of sneakers is the performance of cushioning and stable support. 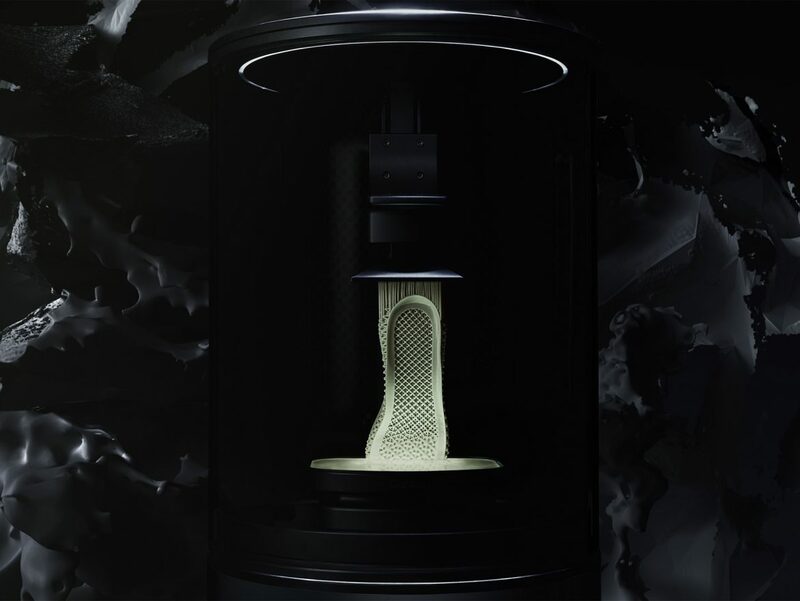 Adidas and Carbon 3D have developed a high performance with excellent energy feedback for the Futurecraft 4D mids after testing over 150 Materials, and still maintain stability in extremely cold, hot climates, according to Carbon 3D official staff in New York, the Futurecraft 4D midsole, will likely launch a color or even a transparent midsole in the future. Primeknit construction takes over the upper of the Futurecraft 4D, while the engineered ventilation zones also make the sneaker noticeably breathable. adidas Y-3 just wrapped up a promising show in Paris, showcasing upcoming Spring/Summer 2018 apparel and footwear for Yohji Yamamoto’s label under the German brand’s umbrella. A plethora of new footwear was featured on the hardwood-style runway, like this unnamed adidas Y-3 sneaker with Futurecraft 4D soles. 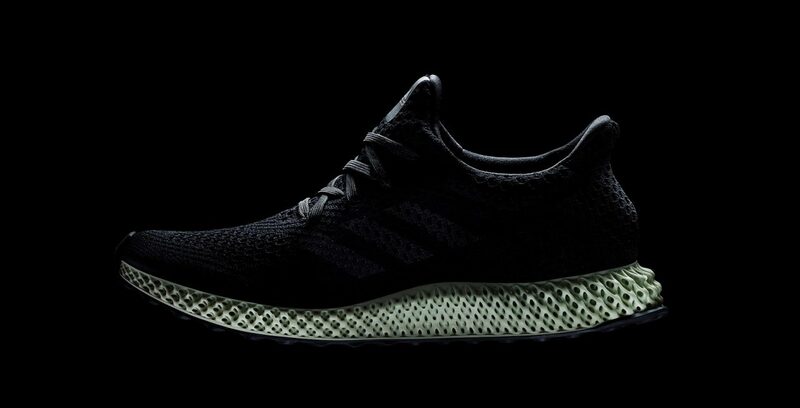 Futurecraft 4D, which debuted during a special event in NYC back in April, is a brand new technology championed by Silicon Valley-based tech firm Carbon, and will debut at retail this December in a limited run of 5,000 pairs. 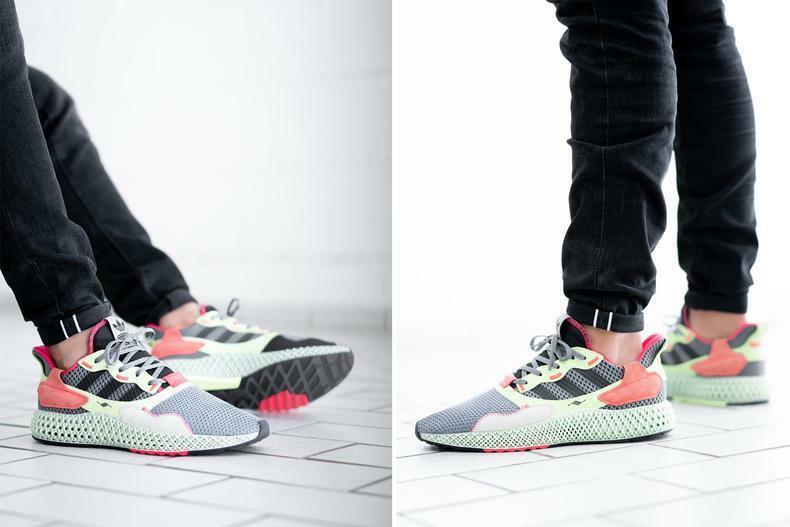 ZX4000 4D ,featuring a colorfully whimsical aesthetic, it does come equipped with the brand’s customary ash green sole unit that has become a mainstay in the Three Stripe’s Futurecraft family. While that initial look’s color scheme came in a combination of creams and blue tones with quick hits of pink for accent, the second version shown here utilizes a deep crimson hue with a stronger presence of neon yellow this time around as well. Overall ,, adidas will start the new revolution Since the birth of Boost, adidas has been a perfect turnaround. I believe everyone can see it. So before this new technology production is put on the market, does Nike do enough measures?